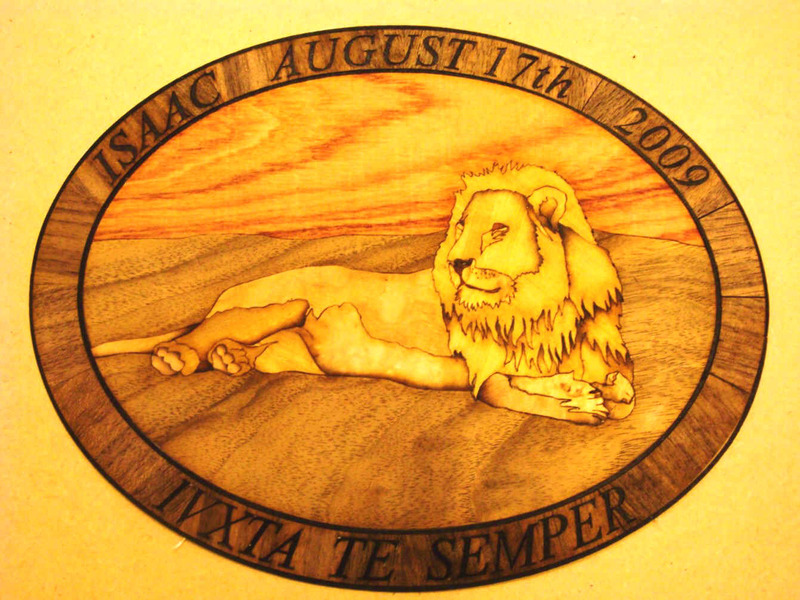 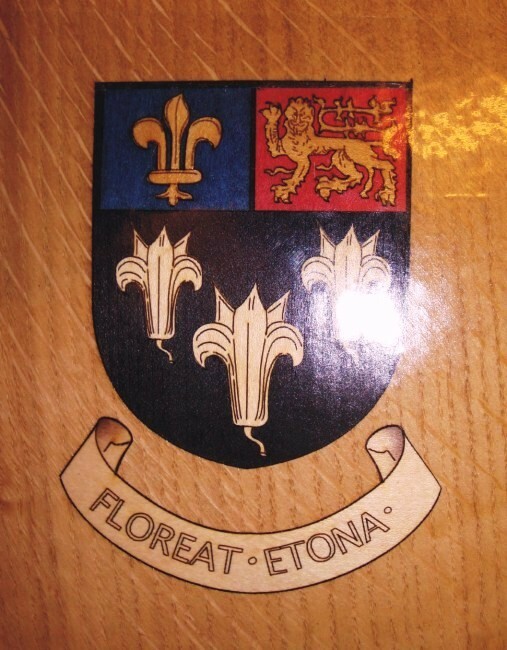 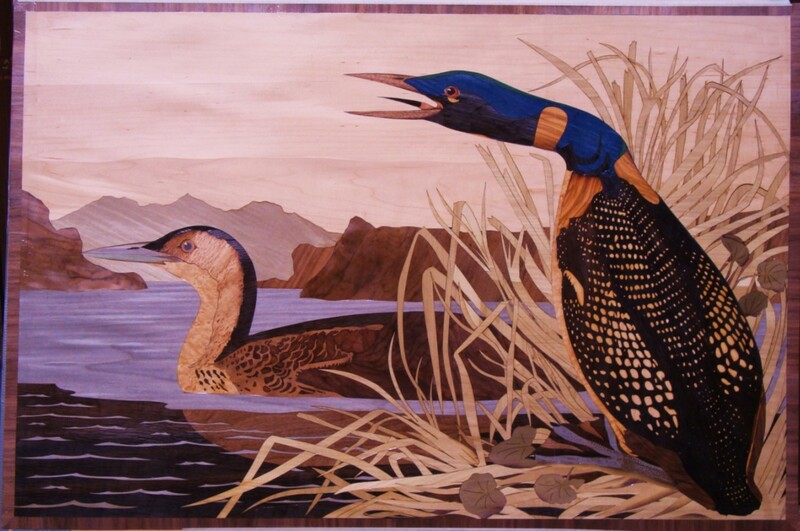 Established in 1984 by Deborah Jameson and Joe Geoghegan , Heritage Inlay Design Ltd are based in the United Kingdom, and specialise in the design and manufacture of highest quality marquetry and marquetry inlays made from exotic wood veneers, metals and shell, for a variety of projects. 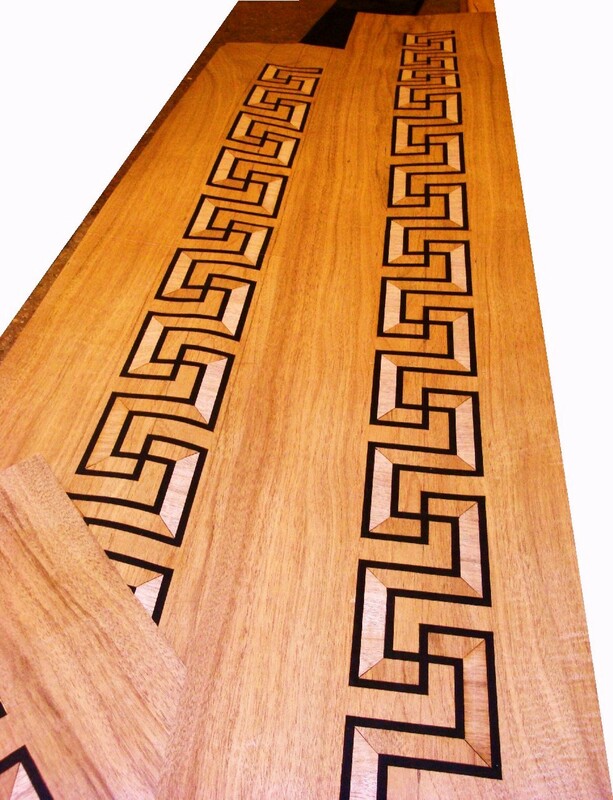 Utilising knives , scalpels , fretsaws and lasers, Heritage regularly work on both historic restoration projects and contemporary design. 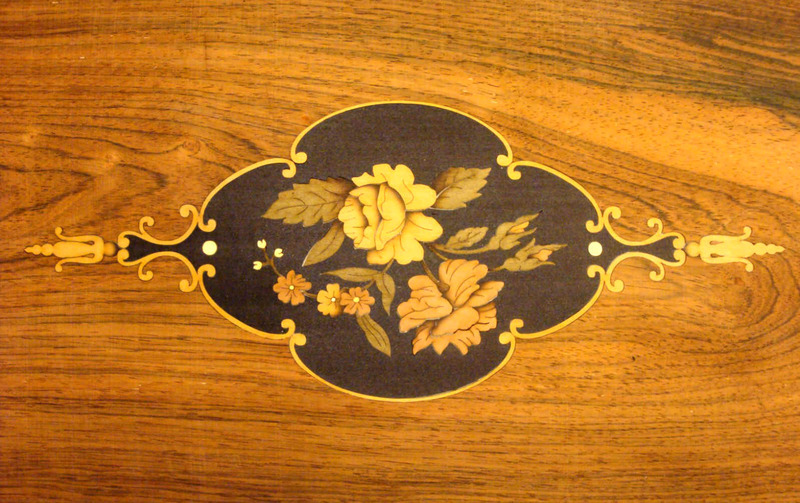 Situated less than an hour from London on the south coast of England , in the vibrant Sussex city of Brighton , Heritage Inlay Design Ltd supplies furniture makers , joinery companies , home woodworkers , artists and designers worldwide with all their marquetry inlay requirements , whether it be small motifs, large murals, or marquetry layons for architectural projects. 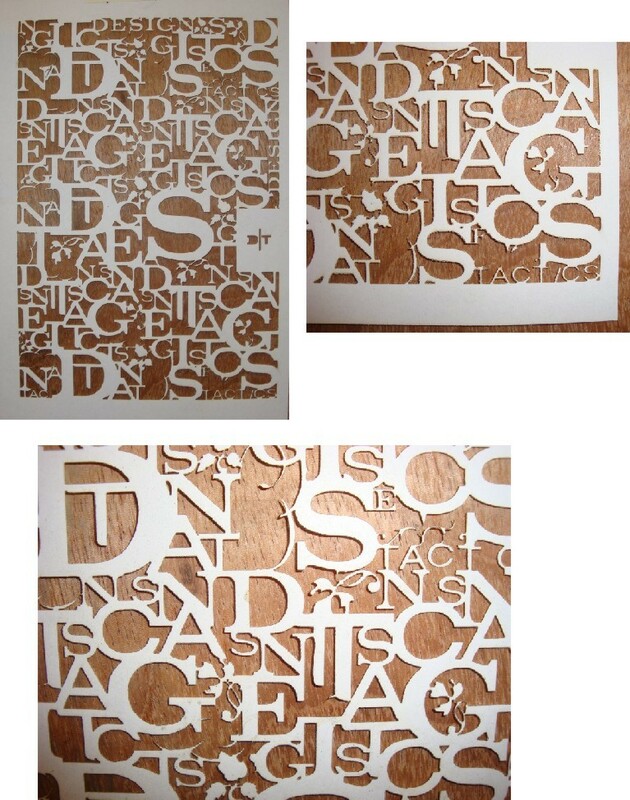 Previous commissions include The Burj Al Arab Hotel -Dubai 1999, the Scottish Parliament Building , the New Irish Parliament Building , Harrods Egyptian Room . 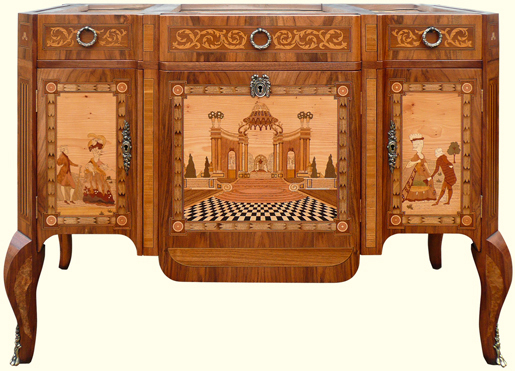 However much of our work is small bespoke orders , and we attach the same importance and pride to all projects , whether a large Drawing Room or a Jewellery Box. 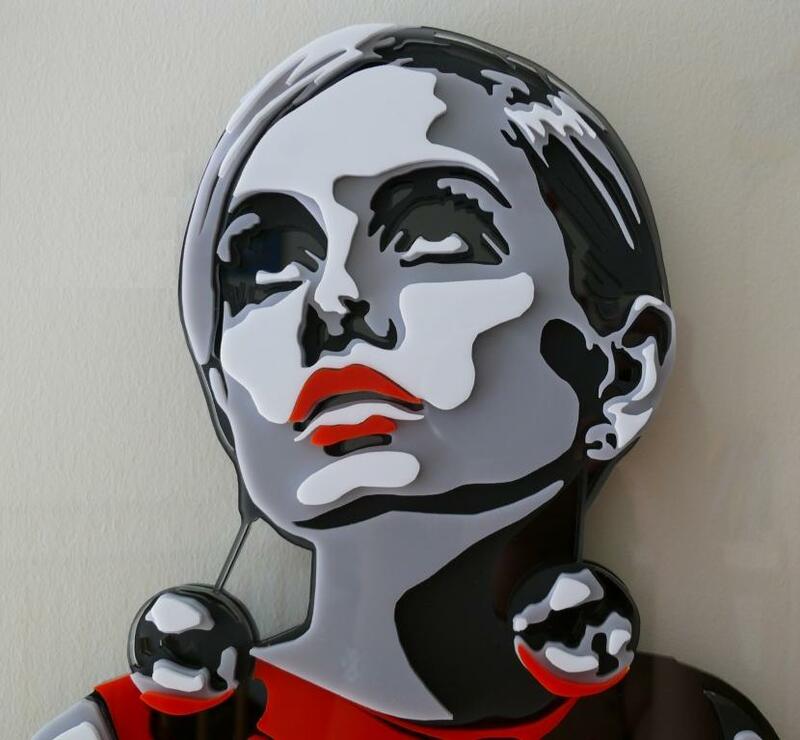 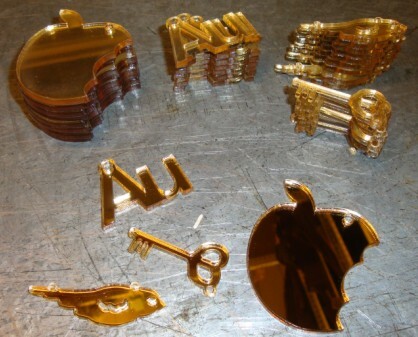 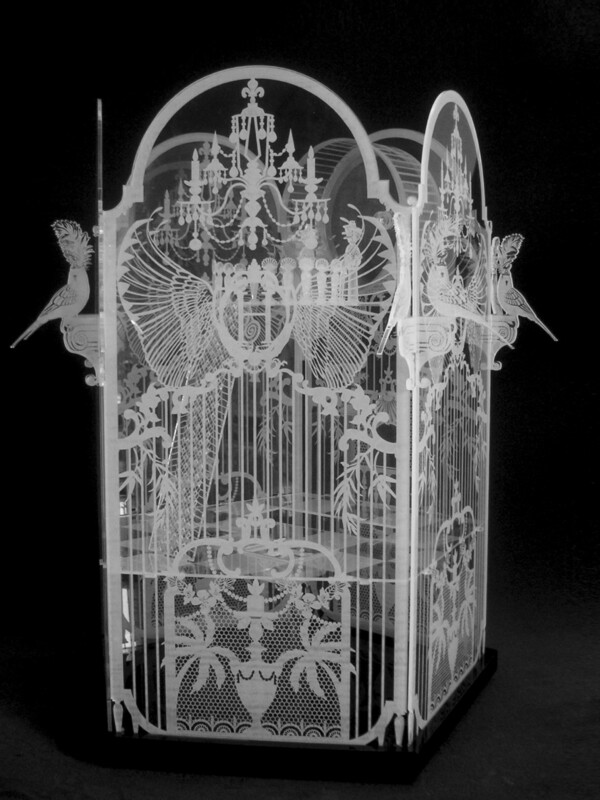 Our use and experience of laser cutting and engraving has also led to exciting work in numerous materials for artists , students and costume designers. 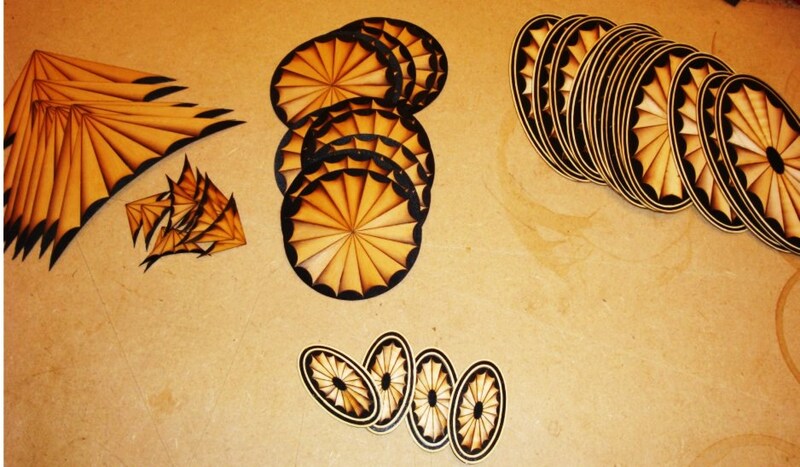 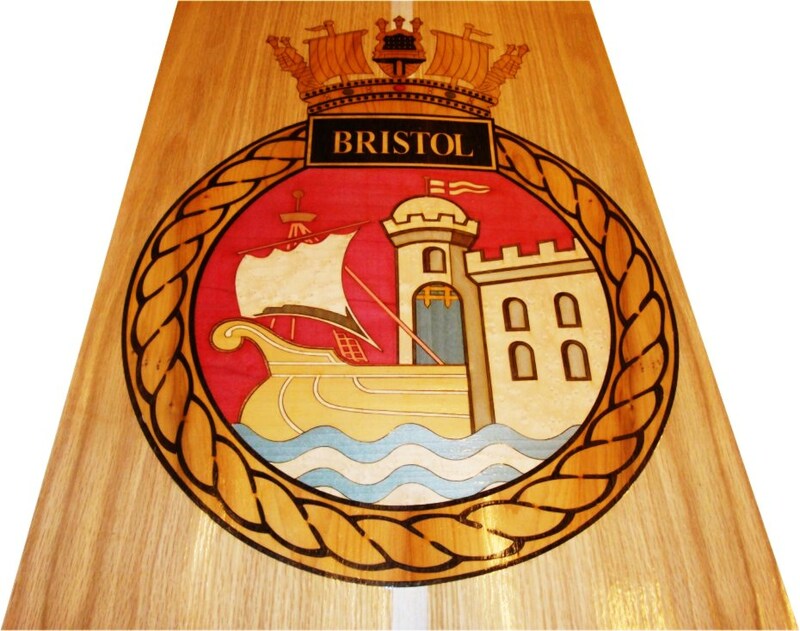 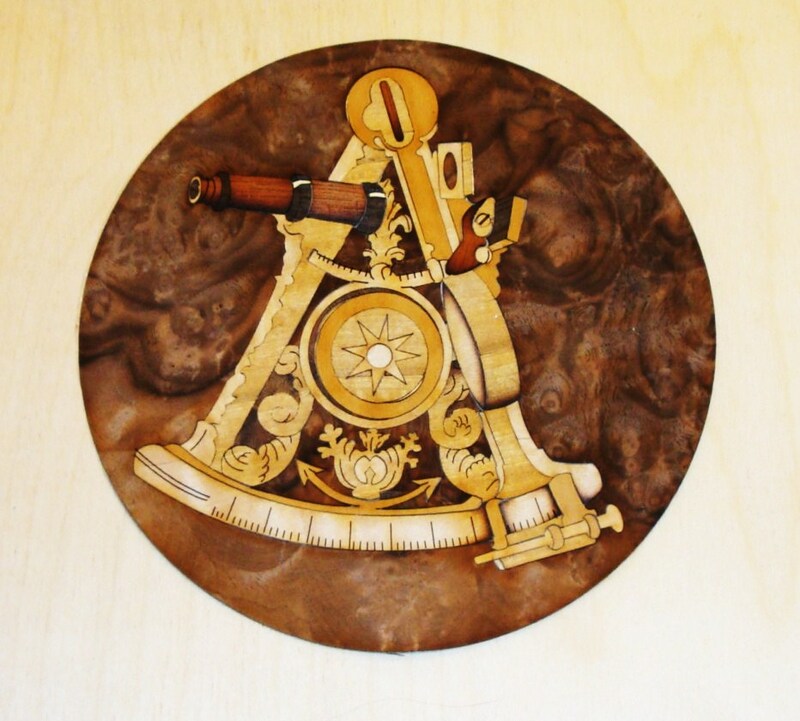 Complementing our marquetry inlay manufacturing service, we also provide a laser cutting and LAZER ENGRAVING service, enabling clients to achieve the intricate cutting and engraving of a range of diverse materials; wood , leather, acrylic , perspex , glass and many other materials. 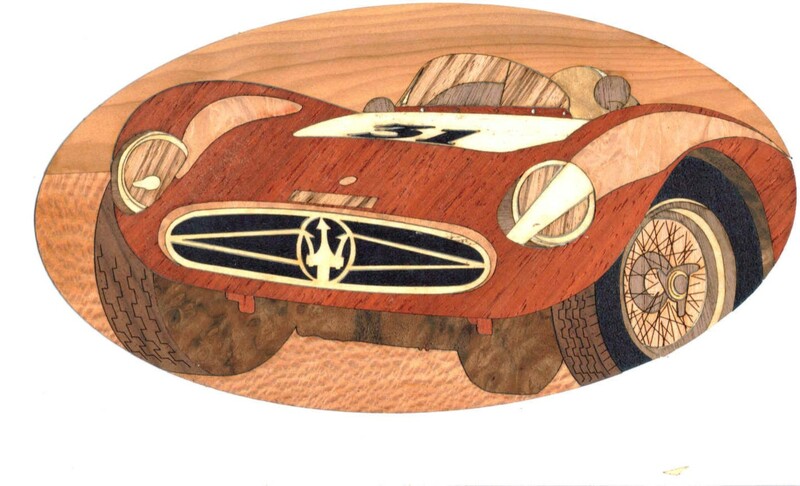 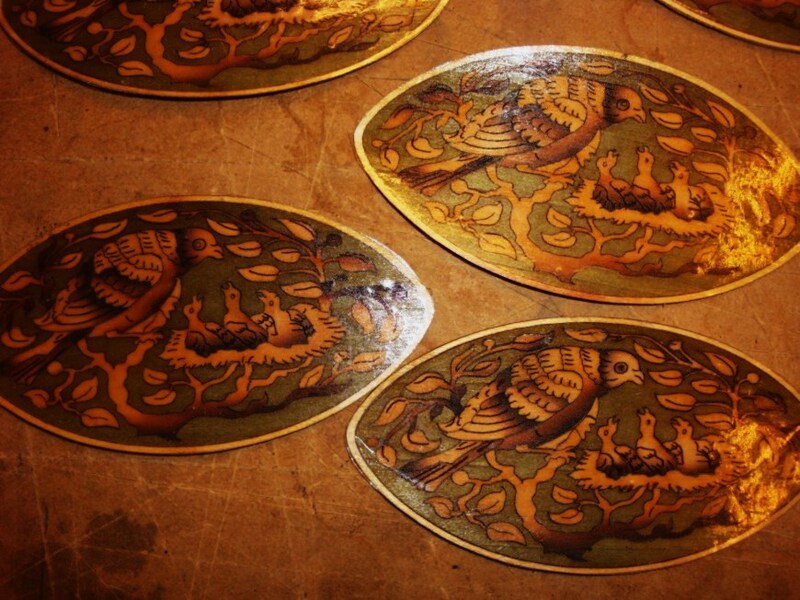 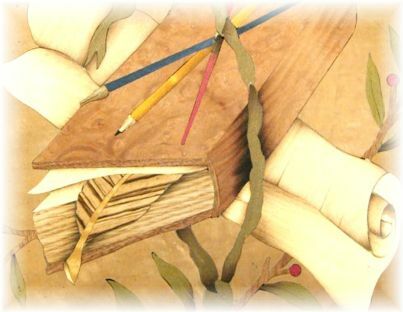 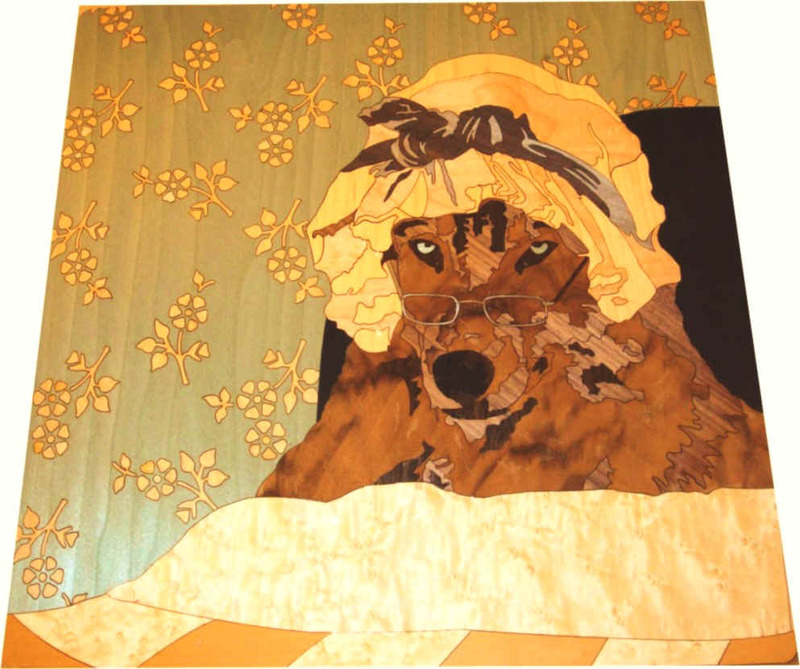 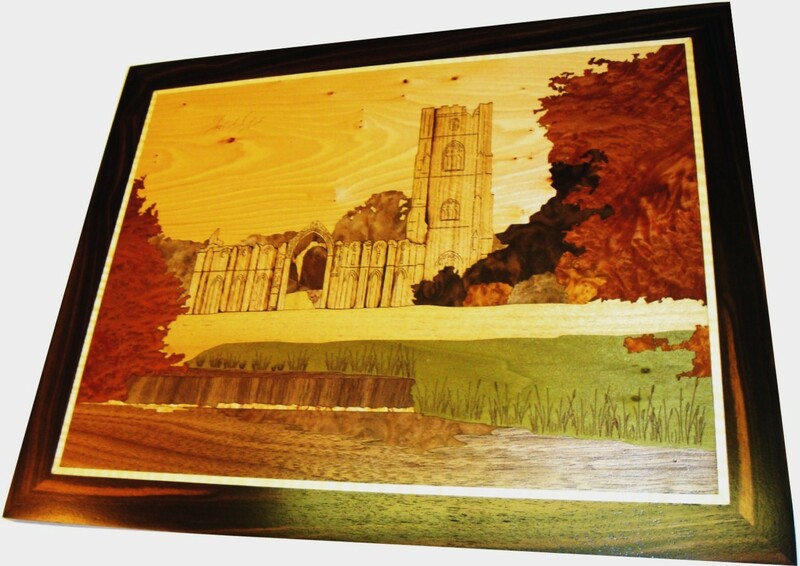 The Marquetry designs themselves can be created either by ourselves or from photos or drawings supplied by the client. 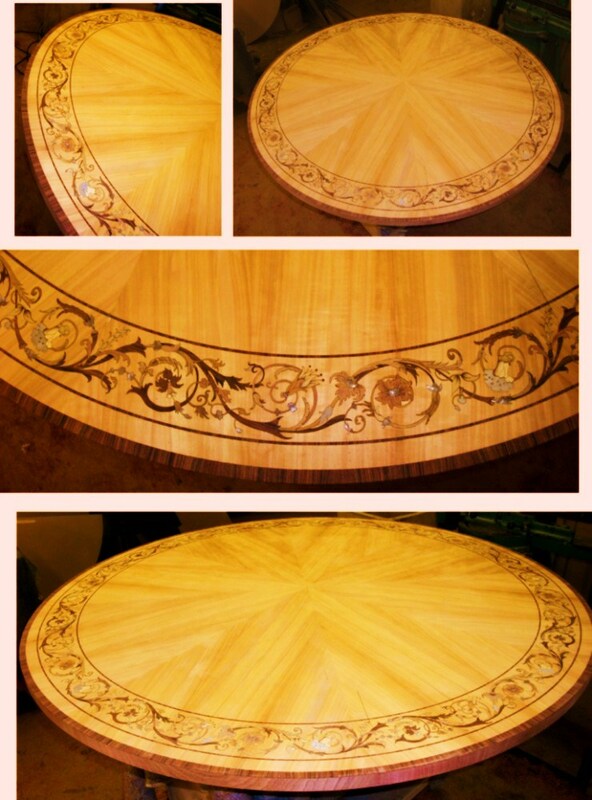 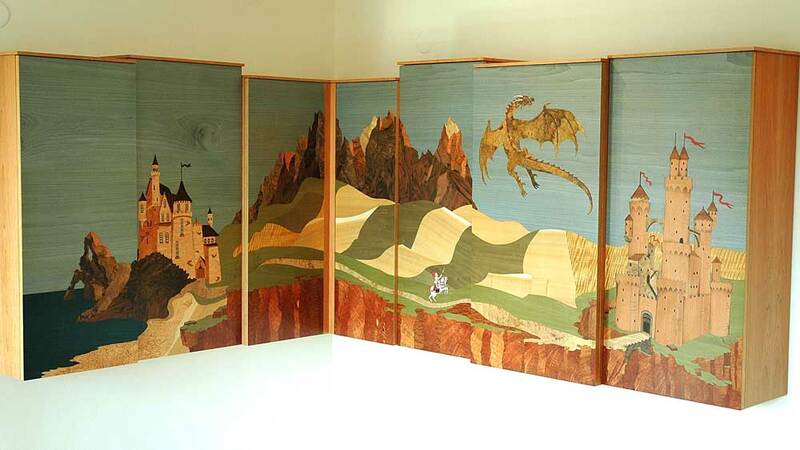 We have an expansive design library of patterns and pictures, and 25 years of marquetry inlay manufacturing experience to draw on, and we believe we provide an unrivalled service. 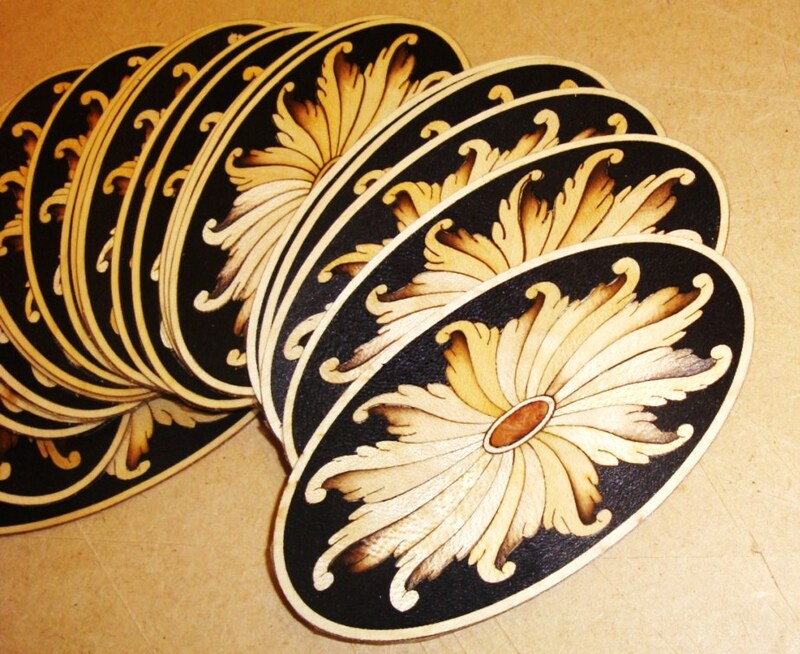 Utilising techniques that have remained the same for centuries , such as fretsaws and knives,alongside state of the art laser technology,we believe Heritage Inlay Design Ltd to be only company in England to employ the 3 essential marquetry manufacturing techniques, laser cutting, fretsaw cutting (on the line/off the line, as well as pad sawing), and knife or scalpel cutting.This ensures that the method that best suits a particular job is used, especially important in the restoration of antiques for example, where lasers are occasionally less suitable, or geometric patterns and script work where laser cutting can't be matched.We have clients who insist on laser marquetry inlays , and we also work for clients that will only accept hand sawn pieces. 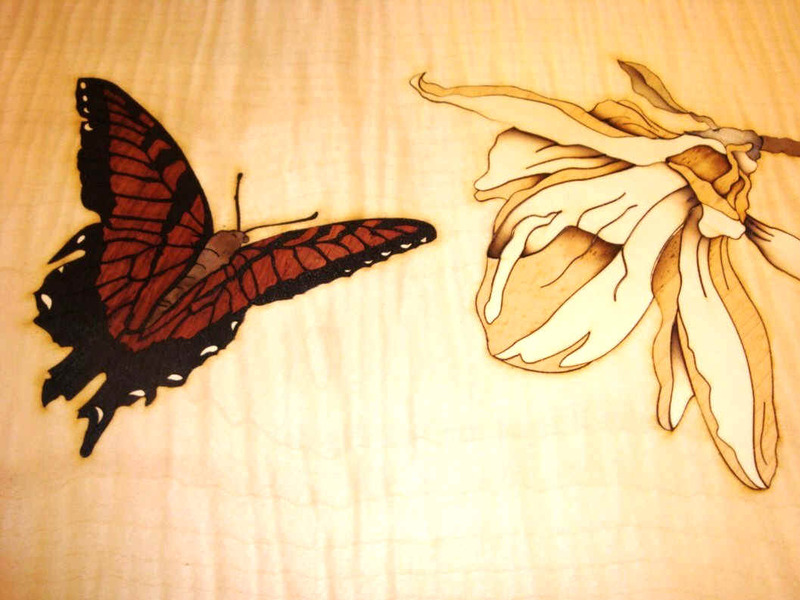 However, the simple fact is that most projects require employing more than one method .